Did Opal have had Autism/Asperger's Not Schizophrenia? 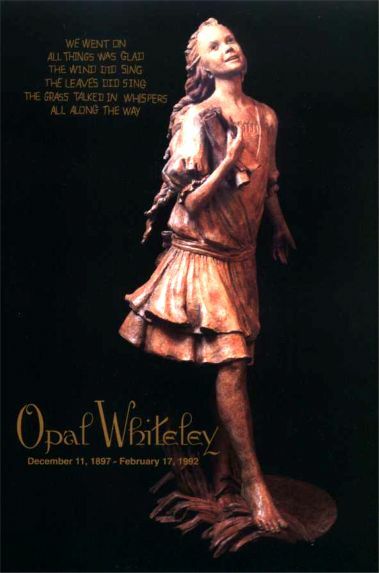 I started the Opal Whiteley Memorial in 1994 to talk about subjects that are often taboo like child abuse and schizophrenia. Opal's life and writings offer important lessons for how we treat people. I know of no sadder story than Opal's nearly 50 years in England's Napsbury Hospital. Whatever sins she committed against the literary world were surely paid for by nearly a half-century of institutionalization. This article was first published in Anne Hill's 2007 compact disc of Opal's words set to music, Beauty Attends. It is an enchanting cd. Anne Hills used Opal's own words and put music to them. The result is a beautiful cd of music from Opal's writings. Anne asked me to help write the inside liner notes. I had recently completed working on this article, about Opal and her mental health. If you have not heard it, please look it up. Anne Hills is an amazing performer and interpreter of music and literature. In my career, working with people who have psychiatric conditions, I have known over one hundred people with schizophrenia. None of them were much like Opal at all. However, ten years ago I began working with people who have autism and Asperger's Syndrome. 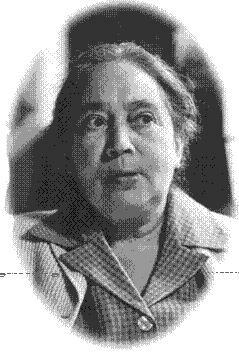 Most of them had a lot in common with Opal Whiteley. I believe that Opal was wrongfully-diagnosed with schizophrenia, However, experts have also seen characteristics of almost every disorder in the book in Opal. For example, she constantly counts things, like many people with Obsessive Compulsive Disorder. She had what some would call bizarre ideas, like many people with schizophrenia. Opal was prone to long manic bursts of energy and creativity, like people with bipolar disorder. And, anyone familiar with signs of child abuse can see recovered memories and multiple personalities in Opal's behavior. Opal also may have had typhoid fever as a child. It causes brain swelling and that could have effected her mind in several ways. The first time I read Opal's diary I was convinced it was an open and shut case of schizophrenia. People with schizophrenia may have hallucinations and fixed ideas that seem very strange to others. They have great difficulty organizing their lives. Many homeless people have schizophrenia. It is an very disabling condition and people are often unable to care for themselves. The hallucinations and delusions interfere with people's ability to process information. Most of the really bizarre statements attributed to Opal come only after years of institutionalization. She may have been given a lobotomy in the early 1950's and there is no counting the number of pills and electroshock treatments she had. Lobotomies were surgeries on the brain that had the goal of reducing the delusions of mental patients. However, in about 10% of patients, the lobotomy actually caused symptoms to increase. I believe this was the case with Opal. Plus, simply being in a mental hospital for almost 50 years is enough to make anyone crazy. We tend to adapt to our surroundings, wherever they are. While Opal did believe she was related to the French royal family (and did over 30 years of research to try and prove it) she did not have hallucinations. In her childhood diary she often appears to be hallucinating, such as seeing fairies. However, upon closer examination, she never talks to anything that is not real. Her "faeries" are dragonfly insects. She also uses the word "fairy" to mean the spirit or soul. At the beginning of the last century many people still believed in "fairies". Opal often writes about seeing "fairies" and "little people". In folklore a "fairy" is a small creature, generally with a human form. Fairies are also said to live in the everyday world such as trees, streams, flowers and hills. Opal believes the fairies bring her pencils and paper to write with. Opal believed that all things had a living spirit - it's "fairy". In her childhood diary she writes that yellow jackets are fairies too. In her 1918 book, The Fairyland Around Us, Opal writes that her grandmother and her uncle taught her about fairies. It is important to note that Opal NEVER writes about imaginary creatures that do not exist. Often when she uses the word "fairy" she is writing about the soul within a living animal or plant. This is much closer to the Native American and Celtic belief system. She is not hallucinating and seeing things that are not there. Many researchers have made this mistake. I had to read many different texts she wrote to notice the difference. Opal presents an complex mix of psychiatric symptoms. Her behavior often is like a person who has a personality disorder (usually caused by childhood abuse and neglect). She also shows signs of OCD, Obsessive Compulsive Disorder. Opal is always counting things like rocks, trees and the number of steps she takes. Opal's had few close relationships. She may have been briefly married, but that is in dispute. 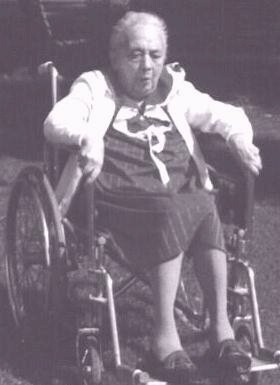 While she could develop strong bonds with older adults and younger children Opal had great difficulty making friends among people her own age. This seems to have been the pattern throughout her life. Her male relationships were almost exclusively with men old enough to be her father or grandfather and her women friends tended to be grandmotherly types as well. There is one condition that appears to include each of the behaviors that Opal had. Asperger's Syndrome. This has only recently been recognized as a form of autism which is now known to have a wide spectrum of severity. People with Asperger's tend to have trouble in personal relationships. They tend have few interests or hobbies, but they can learn these to an almost genius level. Some can learn and absorb subjects they are interested in faster than "normal people". They may count numbers , and do activities in specific steps repeatedly. They may also accumulate or hoard possessions about things they are interested in. Despite these positive qualities, people with Aspergers/Autism can seem to lack empathy with others and even "common sense". It's not that they lack empathy, they just have difficulty picking up on the same social cues the rest of us do. People with Aspergers/Autism often have superior memory skills. Opal amazed people with her ability to remember books and facts. Opal also had a very formal way of speaking and using words, even at a young age. This is also a characteristic of people with Asperger's. Most people with Asperger's have normal or slightly above normal intelligence. Bill Gates, founder of Microsoft is said to have Asperger's Syndrome. Opal was clearly a genius in her nature studies and her later obsession with learning about European nobility. In the past it was not unusual to find them institutionalized for years with nearly every psychiatric label. In my 25 years of working with people I have not known anyone who was so misunderstood than Opal Whiteley. Many scientists and creative artists have had this condition. There is debate over if Asperger's should be considered a "mental illness" and treatable or if we really need people with Asperger's in the genetic pool. Some argue that it is not an brain disorder at all, but an important addition to humanity's gene pool. Opal Whiteley's writings may offer us an opportunity to see Asperger's through the eyes of a young child - with all it's gifts and limitations. Few people stuck to their beliefs like Opal. Locking Opal up in a state mental hospital only made her believe that she was someone important, a real "princess". Locking people who believe the are high officials in an asylum usually reinforces their belief system and fears of government persecution. Some of the typical treatment of the 1950's included elector-shock convulsions, powerful tranquilizer such as Thorazine, ice baths where you had to lay in a bath of ice and lobotomies. Often these "treatments" failed, leaving the patient even crazier. Opal's treatments did not change her core beliefs at all. That is another sign of a person with Autism rather than schizophrenia. Most people with schizophrenia will change their beliefs to avoid getting themselves into trouble. They may deny their delusions because they know that's what the professionals want to hear. There is not one instance on record where Opal ever changed her basic story that she was the daughter of a French prince. Was she? Not likely, but in Opal's world anything is possible. The Cottage Grove Library now has a lovely life-sized bronze statue of Opal, donated by South Lane Mental Health. A postcard of the statue is shown on this page. It is deeply appreciated by the community of Cottage Grove and all fans of Opal Whiteley. OPAL * Marked impairment in the use of multiple nonverbal behaviors such as: eye gaze, facial expression, body posture, and gestures. OPAL * Difficulty developing age-appropriate peer relationships. (AS children may be more comfortable with adults than with other children). OPAL * Inflexible adherence to routines and perseveration. OPAL * Fascination with maps, globes, and routes. OPAL * Superior rote memory. OPAL * Preoccupation with a particular subject to the exclusion of all others. amasses many related facts. OPAL * Difficulty judging personal space, motor clumsiness. OPAL * Sensitivity to the environment, loud noises, clothing and food textures, and odors. OPAL * Speech and language skills impaired in the area of semantics, (volume, intonation, inflection, and rhythm). OPAL * Difficulty understanding other's feelings. OPAL * Extreme difficulty reading and/or interpreting social cues. OPAL * Socially and emotionally inappropriate responses. OPAL * Literal interpretation of language. difficulty comprehending implied meanings. OPAL * Extensive vocabulary. Reading commences at an early age (hyperlexia). OPAL * Stereotyped or repetitive motor mannerisms. OPAL * Difficulty with "give and take" of conversation. This page has links to many organizations that help people with mental health issues. If you, or someone you care about has mental health needs, perhaps these links can help. The links below reflect the diversity in mental health care - treatment is much better today than in Opal's time - but, we have a long way to go. Support Groups also help many people. Most folks can find a support group online or in their community. There are peer support groups for almost all conditions.